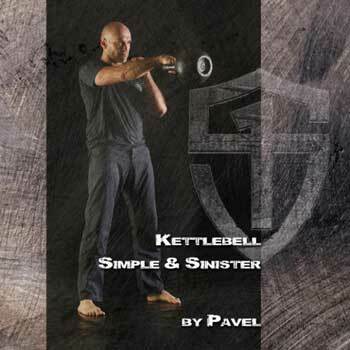 Discussion in 'Kettlebell' started by Kozushi, Nov 27, 2016. Stronger training with lower weight is better than weaker training with a heavier one. Anti-twist exercise is what makes these programmes so powerful - anti-twist muscles are your secret potential that they unleash. This means hold the kettlebell with one hand only and do your pushups one hand (and one leg) only and your squats one leg only. You don't need other serious programmes or exercises at the same time - you can just do your Strongfirst chosen programme more strongly. The S&S programme covers strength in all directions except down: the swing is to the back, the getup to the front, the sides and up. It is all direction strength. In S&S do the swings as hard as you can and the getups also as hard as you can. This means the swings will be as snappy and fast as possible and the getup as slow and strong as possible. It is yin and yang theory applied to exercise. It is real and it really works. Pullups don't interfere with S&S because they cover strength pulling down, which isn't a direction covered in S&S. S&S is better in my mind than Naked Warrior because it covers strength in all directions, but the One Armed Pushup is a stronger one direction press (at 70% of your bodyweight on your one arm) than the Turkish getup or the kettlebell press, and the pistol is a stronger leg press than the getup is. It is a very good idea to add pullups to Naked Warrior if you can (as the book says) - it makes the programme almost as complete as S&S I think. Better to train with a lighter weight than to not train at all. Strongfirst gave me back my youth, my health and my looks, but added superhuman strength to all these. There are other ways to get strong and fit. These ones suit those of us who have personalities that like to focus on becoming experts at less movements. Yes, these programmes bequeath fighting strength. I proved this at judo. Anyhow, to recap, I think the anti-twist nature of the exercises is their real secret, and they unleash what we might style "secret strength" in your body, all through your body. This is done, basically speaking, by engaging the most opposite parts of your body at the same time. ShawnyUT, Abney, Lee Hunt and 9 others like this. @Kozushi sums up very well ! There are some articles on the blog that underlines what you say in 1/. They are Karen Smith's ones "One good Rep: How to Perform the Perfect..." (pull up, push up, pistol). Once again, you are clearly right about your swing analysis. For the same weight, it is clearly better doing it 1H than 2H, due to the simultaneous work of anti-twist, lower back, legs, power and strength. I noticed that heavy 1H swings help me far better in my DL than 2H swings. I do add an exercise to NW but not pull up. I add one arm one leg australian push up. IMO it is more challenging than pull up and works more the core. However, it is based on the same principle than pull ups you advise. Push ups has two antagonists : pull up / chin up and "inverted" push up (australian). I really enjoy the minimalist view of this exercise. As a "big pull" like the book says, I enjoy add heavy 1H swings (it is in the FAQ). I do them HS. To conclude, excellent recap Kozushi ! 1. I think I understand what you mean. I would rather say: heavier is not better, just heavier. Quarter squats allows to squat heavier. Rounded back allows to deadlift heavier. Not touching the chest allows to bench heavier. But is it making you stronger? 2. Yes and no. One handed swings, for example, are what S&S calls for, and the reason is well explained in the book. But two hands swings have also their value (more power generation for instance). It depends of your goal. 3. True. Simple. Set a goal, choose the program, stick to it. 6. Let's say that S&S is an easy strength, easy endurance program, so it should not interfere too much with other activities. 7. Or do S&S when kettlebells are available, and NW when you travel. I personally favor barbells when I can, then kettlebell, then bodyweight. The tool can change, the principles stay. 9. Active recovery, practice. Too many people reject light training because they feel it a session worthless if they did not give everything they could. This is a mistake. Wave the load. 10, 11, 12. Happy for you. As long as it helps your judo rather than taking from it, keep doing it! 13. I believe the secret is elsewhere, but it is a secret, so I can not say it. Go on Jef, what's the secret? Sure it is about enjoying what we do ! 14. Simple (using the 32kg bell) is a perfectly decent "arrival point" for S&S. It'll keep you in great shape. Absolutely no hurry to move up in weight. This is why it's identified as an arrival point by Pavel. 15. It is okay to do 75% pistols for as long as it takes. They're still great exercise even if you can't get right down to the floor. You will eventually. I need to try those backwards pushups you are talking about, Pet. Jef, what is your secret? I need to know. Also, what barbell exercises do you do? The secret is: Do fewer things. Better. At the moment, my barbell practice is reduced to only two exercises. I need to bring my bench up, so I bench a lot. And I deadlift. As I usually deadlift conventional, I decided to start a new cycle with narrow sumo, that I learnt at the SFL (same, but different). I also GTG the press with a 24 kg ketllebell: easy triples in my hotel room. On weekend, I swing a 40kg kettlebell. 4 exercises, and I plan to stay there for a few months (until my bench reach the target). Kozushi, Dan_123 and Billy59 like this. Actually, it is also something I realized pretty recently: It is better to do only 4 or 5 moves (no matter with bells, barbells or whatever). Progress is faster when you focus on a specific skill. As Al Kavadlo says "if you want to be good at a move, then do it !" I did all the S&S swings today one handed with the 40kg bell, although 20 sets of 5 instead of 10 of 10, and the getups with the 40 too. I'm moving up! Never really thought about the "anti-twist" secret but now that I'm thinking about it, it is true that TNW and S&S are composed pretty much of only unilateral exercises. That's an interesting realization. masa, Billy59 and Kozushi like this. Also Enter the Kettlebell (ROP). I think it is really a special "secret" of its effectiveness. It's a completely different form of strength from bilateral exercises like barbell moves, two handed swings or pullups. I assume it activates all kinds of weird little muscles all through the body that aren't activated with bilateral activities. Impressive ! I can handle the 1H swings @40 but I am sooooo far from your GUs @40 ! 14. Simple (using the 32kg bell) is a perfectly decent "arrival point" for S&S. It'll keep you in great shape. Absolutely no hurry to move up in weight. I never felt that strong since I achieved Simple. Now, I increase swings just "for fun" because I enjoy this move. I truly believe simple is "enough" to give a strong athletic base and keep progressing in other activities. As a stand alone, it perfectly fits GPP. A delightful thing about S&S is its ability to be so easily combined with other programs / goals without losing efficiency. Yes, and if one wants to, one can intensify the S&S programme as much as desired to make it stand alone, if that is what one wants. One can do the swings in less time, the getups in more time, and/or increase weight to make it all more intense. It's still a funny thought to think that the Naked Warrior pushups load 69kg on my one arm whereas my getups only load 40kg at the moment. Those pushups are something amazing. I can see why some people do Naked Warrior as their main programme and then add the 10X10 swings from S&S onto it (as per the book's "big pull" instructions). I can see why some people do Naked Warrior as their main programme and then add the 10X10 swings from S&S onto it (as per the book's "big pull" instructions). That is what I currently do ! My frame (on a daily basis) is about 3 * 2 OAOL PU ES, then 1 pistol @28 (ES) and finally 100 heavy swings @40. This kind of PU is difficult because it requires to tense your whole body. It is insane ah ah ! I do not know the percentage of weight the arm has to press when we do a OAOL PU but...it is not that easy (or simple). For the moment, I have an excellent feeling on that program. I feel some progression, it is both efficient and minimalist. What I also like is mixing two "proven program"
Did you try that frame once ? S&S and the Daily Dose Deadlift is also pretty efficient. Like @jef said however, I don't think that's where the magic is. I don't know much S&S so I won't comment there. But for TNW, you should be able to sub in any exercises (say a program of GTG with HSPUs and weighted Pull-ups) and the program should achieve its intended purpose of strength building. The key, again, at least for TNW, is the minimalism, frequent practice, and huge attention to tension details. The fact that they're unilateral I think is simply because that's the most logical way of making a Push-up and a Squat harder (but no so hard that it's close to unattainable, like a OAC). In most other calisthenics training disciplines, unilateral work usually ranks pretty low on the list. Frankly, StrongFirst is one of the only places where I see the OAPU being so popular. Just some food for thought. What I also noticed about NW and S&S is that even if we can always find more difficult variation (either with bells or bdw), it gives huge results in everyday life for a reduced invested time. As Pavel says, it is like an AK47 : there is better in some areas, but in average, it is the best. No, I haven't really done what you are doing. When I got back to Canada I also got back to S&S and only did NW moves to maintain them. In the end, the getup is simply an easier thing to do than the warrior pushup, its saving grace versus that pushup being that it keeps your body under tension longer and activates muscles in more directions even though it's a lot less weight! @305pelusa what you say makes a lot of sense. Indeed it's the "only two moves" aspect of Strongfirst programmes that attracted me to them and keeps me attracted to them and still doing them. However, Pavel goes on at length about "anti twist" muscles in his books, so I don't think he's hiding the fact that this is his other "big secret" to his programmes. I'm not experienced enough in lifting weights to compare very heavy lifting with two hands to relatively light lifting with one. My suspicion though is that symmetrical loading loads more weight on big central muscles and leaves a lot of the other muscles floppy, whereas asymetrical loading tenses up EVERYTHING!